Medical care means amounts paid for the diagnosis, cure, mitigation, treatment, or prevention of disease, and for treatments affecting any part or function of the body. The medical care expenses must be primarily to alleviate or prevent a physical or mental defect or illness. 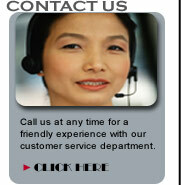 The following provides details to special issues related to medical care expenses. However, keep in mind, there are income restrictions limiting the medical deductions. A popular website for medical information is WebMD. 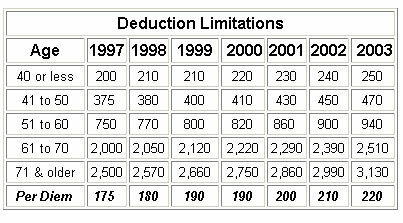 There are basically two limitations restricting a deduction for medical expenses. You can deduct only the amount of your medical and dental expenses that is more than 7.5% of your adjusted gross income. If, for example, your only income for the year was $50,000 from wages and there were no adjustment to your income, your adjusted gross income would be $50,000 and 7.5% of that amount would be $3,750. If your medical expenses totaled $5,000, you would be able to deduct $1,250 for medical ($5,000 - $3,750). In the same example, if your medical expenses were less than $3,750, there would be no deduction allowed and no need to list the medical expenses on your tax return. At the end of 2003, the President signed into law the Medicare Act of 2003. One of the key provisions of that legislation was the creation of the Health Savings Account (HSA). Simply described, a Health Savings Account is a trust account where tax-deductible contributions can be made by qualified taxpayers who have high deductible medical insurance plans. Income earned on the HSA balance is income-tax-free. The funds from these accounts are then used to pay “qualified medical expenses” not covered by the medical insurance for an “eligible individual.” If these funds are not used, they roll over year to year. At age 65, the funds can be used like a retirement plan (taxable when withdrawn, but not subject to a withdrawal penalty) or continue to be saved for future medical expenses. Since the contribution is an above-the-line deduction, a taxpayer need not itemize to take advantage of this new tax break. The rules discussed here are applicable to Federal tax returns and may not apply to your particular state. Eligible Individual – The new law defines an eligible individual as one who is covered by a “high deductible plan” and, while covered by that high deductible plan, is not also covered by another plan that does not have a high deductible. For purposes of determining if there is coverage that does not have a high deductible, the new law allows certain types of coverage such as worker’s compensation, insurance for a specific condition, dental care, vision, long-term care and certain others to be disregarded. - Family coverage with an annual deductible of $2,000 or more and limits on annual expenses, other than premiums, required to be paid by the plan during the year, up to $10,000. Qualified Medical Expenses – Qualified medical expenses that can be paid from these accounts are generally defined as those that would be allowable as a medical deduction on your tax return. - $500 additional for individuals age 55 or older. Individuals entitled to benefits under Medicare and those claimed as a dependent on another person's tax return cannot make contributions. Contributions can be made as late as the due date of the tax return without extensions, and contributions in excess of the allowable amounts are subject to an annual 6% excise penalty. If your employer makes the contributions for you through a payroll deduction plan, the contributed amounts are not subject to normal payroll withholdings such as FICA and income taxes. Example: John, a single taxpayer, age 58, begins a high deductible health plan with an annual deductible of $5,000 starting in March of 2004. We need to determine his maximum annual contribution limit ($3,100), which is the smaller of the deductible amount or $3,100 ($2,600 plus $500 for being over 55). Next, we divide the annual limit by 12 to determine the monthly limit, and in John’s case, it is $258.33 ($3,100/12). Since John was in a high deductible health plan for 10 months during 2004, his contribution limit for 2004 would be $2,583.30 ($258.33 x 10). If John were in the 25% tax bracket, John would realize a tax savings of $646. The expenses are shown to be directly attributable to the medical care of the child. Adoptive parents cannot deduct the natural mother's childbirth expenses. You can include in medical expenses amounts you pay for an inpatient's treatment at a therapeutic center for alcohol or drug addiction. This includes meals and lodging provided by the center during treatment. You can also include in medical expenses transportation costs you pay to attend meetings of an Alcoholics Anonymous Club in your community, if your attendance is pursuant to medical advice that membership in the Alcoholics Anonymous Club is necessary for the treatment of a disease involving the excessive use of alcoholic liquors. You cannot deduct insurance premiums paid with pre-tax dollars because the premiums are not included in your wages. If you have a policy that provides more than one kind of payment, you can include the premiums for the medical care part of the policy. Do not include in your medical any insurance premiums paid by your employer-sponsored health insurance plan, unless the premiums are included in your wages. Medicare B is a supplemental medical insurance. Premiums you pay for Medicare B are a deductible medical expense. Trips - Amounts paid for transportation to another city may be included in medical expenses, if the trip is primarily for, and essential to, receiving medical services. Up to $50 per night for lodging may be included. A trip or vacation taken merely for a change in environment, improvement of morale, or general improvement of health cannot be included in medical expenses, even if the trip is made on the advice of a doctor. There is no significant element of personal pleasure, recreation, or vacation in the travel away from home. The amount included in medical expenses for lodging cannot be more than $50 for each night for each person. Lodging is included for a person for whom transportation expenses are a medical expense, because that person is traveling with the person receiving the medical care. For example, if a parent is traveling with a sick child, up to $100 per night is included as a medical expense for lodging. Meals are not deductible. Meals - Meals are generally not deductible as a medical expense except as part of inpatient care. As such, they would be included in the cost of the hospital or other medical facility. The IRS has ruled that unreimbursed amounts paid by taxpayers for participation in smoking-cessation programs and for prescribed drugs designed to alleviate nicotine withdrawal are expenses for medical care that are deductible subject to the 7.5%-of-AGI limitation. However, because of the prohibition of deductions for most non-prescription drugs, no deductions are permitted for the costs of nonprescription nicotine gum and certain nicotine patches. Surrogate mother expenses are not specifically addressed in the Tax Code or Regulations. However, the Code does tell us that medical expenses are only deductible for the taxpayer, spouse and dependents. The definition of a dependent for medical purposes ignores the gross income and joint return tests. Therefore, it appears that a surrogate mother's medical expenses can only be deducted if she qualifies as a "medical dependent." The unborn fetus is not a dependent until actually born. Weight-Loss Program The IRS has recently ruled that expenses for certain weight-loss programs may be deducted as a medical expense. In order for uncompensated amounts paid by individuals for participation in a weight-loss program to be deductible, the program must be undertaken as treatment for a specific disease or diseases (including obesity) diagnosed by a physician. The costs are not deductible by taxpayers who participate in weight-loss programs to improve their general health or appearance. Further, the cost of purchasing diet food items is not deductible. Prior to this new 2002 ruling, the IRS took the position that you could only include in medical expenses the cost of a weight-loss program undertaken at a physician's direction to treat an existing disease (such as heart disease). This new position affects prior returns and returns may be amended to claim qualified expenses. Until April 15th of 2003, the tax returns for 1999 and later years can be amended.